So your request lit reviewer flame in my soul. here goes. I’ve always appreciated the band’s work for its originality and thought-provoking material. Besides the album “Cold Hard Want,” I’ve only heard “The End is Not the End” and “Suburba.” Both of those were strong albums–particularly, in my view, in terms of thematic unity. “Cold Hard Want” isn’t an exception. In fact, “Cold Hard Want” is arguably more unified, especially in formal, musical terms. I’ll get to that later on, but you can know, for now, that I think it’s their best work yet. In strictly musical terms, I think “Cold Hard Want” is features some of their most diverse work, and it seems to consistently get better. They’ve started to move away from the classic rock of “The End is Not the End,” but what’s not to like about “Remember the Empire,” or “Angels of Night”? Frontman Tim Skipper is considerably more adventurous on this album, and his vocal talent shows. 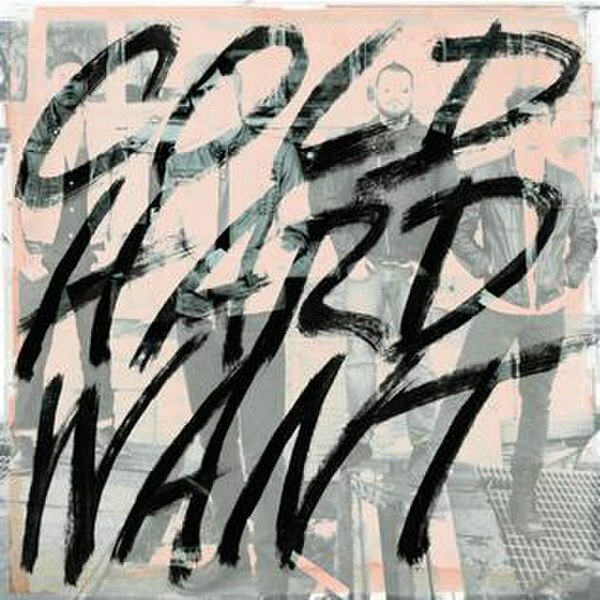 “Cold Hard Want” feels much more weighty than HoH’s earlier work, but I think the heavier punch suits them. Of course a whole host of questions come up: What did he get? Was it worth it? Quintessential HoH here; it’s never answered. Or, actually, the whole album is the answer. One of the stand out tracks for me at this point is “Comfort Trap.” It’s a blood chilling caricature of the materialistic man if ever there was one. “Cop” is another one of my favorites, and one that was (I think) deliberately placed before “Comfort Trap” to depict the characters in contrast to each other. It’s easy enough to see the album as a resounding condemnation of materialism (“Comfort Trap” is, after all, the centerpiece of the work) but the questions it asks are more universal. 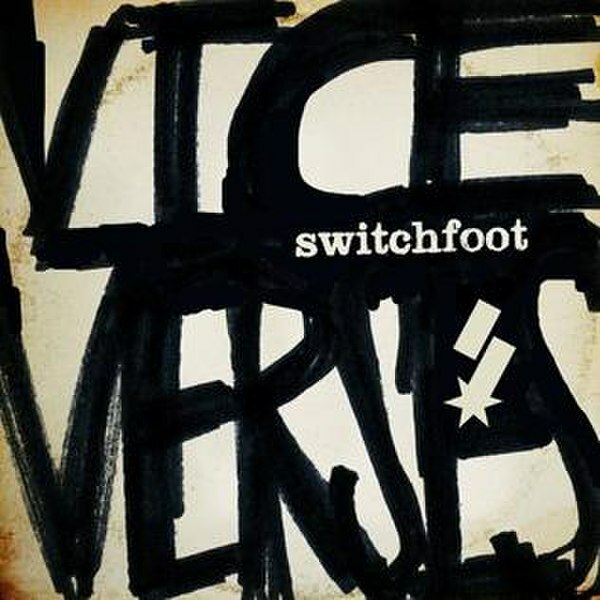 It’s easy to choose one word to describe Switchfoot’s new album, Vice Verses—tension. Musically, this new work from San Diego natives bring the same rocking signature-guitar-riff-songs that fans have come to know and love, balanced, of course, by softer, but powerful, heartfelt ballads. Lyrically, it deals with many of the main themes from Switchfoot’s past albums. Vice Verses takes the band’s best qualities and strings them tight between the great hurts that confront us every day and the great hope we can have despite them. This tension comes out as the songs bounce between an Ecclesiastes-type mourning of the vanity of life and a yearning for hope in the eternal life to come. As you listen to Vice Verses, this comes in transitions: it opens with a powerful upbeat trio of songs and then drops abruptly to “Restless”, one of the softest tracks on the album. Shortly after this comes the most cynical song on the album, “Selling the News”, followed by the much more tender “Thrive.” We don’t even get to the hardest song on the album until track eight. Throughout the album, front man Jon Foreman’s lyrics paint a dark and gritty world in which we are strung between the evil and the good–the “in-between,” as he calls it several times. Regardless of whether you think statements like that have themselves become cliche, that’s what House of Heroes delivers in their sophomore release, The End is Not the End (TEINTE). Released back in September of 2008, TEINTE is my personal favorite music album of all time. Don’t let that raise your expectations too high, but it’s good music. It will make you think, and in doing so, take you places. I was first drawn to TEINTE when the band gave away a small sampler from the album. I listened to it, and it seemed interesting enough. When I found out that iTunes had the album–15 full length tracks plus a short intro track–for only $6.00, I decided to give it a shot. One year later, the price has gone up to $10.00, but I can say with confidence that it will be one of the best $10.00 you spend on entertainment this year. The first thing to know is that themes of World War II and the Cold War dominate TEINTE. It is not an anti-war album, per se, nor is it pro-war. I believe in an interview the band described it as being “pro-human” more than anything else. As front-man Tim Skipper sings in Lose Control, a song where (as best I can understand it) the speaker is war itself, “I am the answer that you misunderstand. I do the evil that an honest man can’t. I walk in shadows that the enemy casts. I have no future and I have no past.” In that, we find a refreshing balance and distance from any sort of political stance. War does evil, yes, and it’s tragic, but sometimes we have no choice but to fight. One quick disclaimer before I take off: this post represents a theory in progress; I don’t think you can find many of these ideas explicitly in the Bible, but as far as I know they are born out of a Christian worldview; please feel free to question, compliment, and/or criticize. Art. Perhaps in no other area do Christians have a wider spectrum of perspectives, opinions, and rules. You can paint this subject but not that one, you can watch this movie but not that one, you can listen to this band but not that one. It’s worth doing, it isn’t worth doing. There are cultural anorexics and cultural gluttons in the Christian world, and it seems everyone is eager to either exercise their freedom to do something or to condemn those who partake in certain types of art. Amid all the blurry lines and opinions, it is odd that no one seems to bother defining exactly what art is. What makes some art better than others? What makes it worth pursuing or shunning? Is beauty really only in the eye of the beholder? I think the answer is quite simple in concept yet wonderfully complex and beautiful in practice. The chief goal of the artist is to “play God” by creating beautiful works of art that reflect his creativity and genius. Welcome to ACwords! This is my second attempt at blogging. My first try had its highs and lows, but mostly lows. I never achieved much of a readership besides a handful of friends and family members. I posted inconsistently and, last summer, decided to completely abandoned the whole thing. So here’s the goal this time around. I want to post my own original content at least once by the Sunday of every week. I think that’s reasonable: one post a week that I write myself. I will also occasionally post links that catch my eye, maybe offer a bit of commentary on things, etc. Substantial posts of my own work will center on personal philosophical/theological musings, art analysis and criticism like film and music reviews, political commentary, criticism of news coverage, perhaps the occasional poem or short story, and whatever else inspires me. This blog will not be another one of those public diaries where I post things like insignificant personal ramblings or pictures of me and friends. Hopefully, it will be a place for intelligent commentary and conversation. After a few months, I want this to have developed into something that I can use for my portfolio. I also plan to repost some of my work on the (hopefully) rare week that I can’t get something of my own up. I wrote a few decent pieces at my old blog as well a some things for school that may end up resurfacing here. It will probably help you to get an idea of where I’m coming from personally. I’m a Christian, sometimes a bitter, confused and cynical one, but a Christian nonetheless. I struggle with my faith, I have doubts, and I make lots and lots of mistakes. My core beliefs are rooted in the Bible. I’ve been influence quite a bit by people like C.S. Lewis, John Calvin, Charles Spurgeon, Timothy Keller, and Albert Mohler (among others). But I also want to be a writer and a thinker in the public square. I’d like to be a journalist, teacher, and perhaps even screenwriter eventually. My concern in this regard is with the truth and understanding how the world works. I believe I can bring all subjects under the Lordship of Christ without necessarily bringing in the Bible or any explicit mention of God.